While planning a vacation or a weekend out of town can be exciting, actually packing for a trip away probably features pretty low down on most people’s lists of fun things to do. It always seems simple but when you come to fit everything into your carry on luggage, it suddenly hits you that you have far too much stuff and the top is just never going to close without the help of a burly friend sitting on it while you struggle with the zipper. It’s definitely not a fun way to start your relaxing break. There is plenty of advice out there on how to pack, what type of carry on luggage is most suitable and which handy space saving items will allow you to squeeze the most out of those last precious inches in your carry on luggage but they seem to be all focused on one aspect of packing. 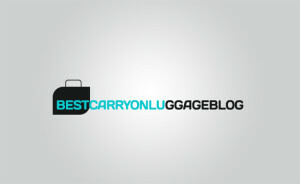 We’ve gathered everything together on one handy guide which will show you how to best pack your carry on luggage. First and most important, you’ve got to find yourself some fabulous carry on luggage. This example of a Rockland carry on is just perfect. It comes in twelve different colorways, is lightweight and durable and the extendable handle and multi-directional wheels make it easy to move around. The price is great too and the icing on the cake is that it is expandable meaning you get more space for your money. Be sure to check the size regulations for carry on luggage on the airline you’re travelling with to make sure they’ll allow it in the overhead bins in the cabin. 2. Make a list and then halve it! Toiletries; shampoo, conditioner, shower gel, moisturizer, body lotion, make-up kit including cleanser and toner, razors and shaving gel deodorant. Check out the airline regulations for the amount you can take in carry on luggage, there’s a link below. And it doesn’t end there, here’s a really cool little wiki on all the things to consider when packing your carry on luggage. When you’re not checking bags and intend to only take carry on luggage, it is really important to remember there are certain things you can’t take into the cabin with you. It is by far the best idea to check the regulations really carefully before you travel so that you can breeze through all the security checks and relax at the gate with a coffee rather than being stuck having your carry on luggage unpacked and looked through by the security staff. Check out this link and save it to your favourites for future reference. Even if you’re a frequent flyer, it pays to check every time just in case something changes. Because there are restrictions taking liquids over a certain size on planes, pack your toiletries in travel size bottles like this handy little trio, the Travel Bottles 3 Pack Set. They hold 3oz each and are TSA approved, they also come in really cute pastel colors which are suitable for men and women. You might want to take a hanging toiletry bag like the Household Essentials Hanging Cosmetic and Grooming Travel Bag. This great little product will store all your essentials in ten see through compartments which are also waterproof. The hanging hook means that, when you arrive at your destination, unpacking your carry on luggage will take just seconds so you can get on with enjoying your vacation. These clever space saving cubes will allow you to pack like a pro in seconds and really help you to be super organized. They come in a selection of twelve colors and are constructed from nylon with durable zippers they. Best of all, they are as light as a feather, the largest is just 12.6 ounces, so they won’t do too much damage to any weight restriction. The mesh top makes it simple to see what’s inside and also allows your garments to breathe, important if you want your stuff to remain wrinkle free. They even have a carry handle in case you want to use one as an extra bag while you’re away. 5. Label your luggage even if it is just carry on and make it stand out from the crowd. Even if you are only packing carry on luggage for your vacation, it is still important to make it easy to identify. We all know what a crush it can be when the whole plane load of passengers tries to get off the plane together, the last thing you need is to arrive at your destination and open your carry on luggage, only to find it actually belongs to the 6ft tall biker dude you were sitting next to on the flight out! Luckily there are plenty of products on the market to help your carry on luggage stand out from the rest. The Travelon Set of Two Handle wraps are a great example. Not only do they come in four colors (best avoid the black ones unless your carry on luggage is neon pink!) but because they are made of the same material that wet-suits are made from, they are comfortable on your hands. They simply fasten with Velcro around the handle of your carry on luggage and can be easily removed. They can even be further personalized with permanent marker, great for marking out kids cases. If you’re looking for a traditional luggage tag, these little beauties from Lewis N. Clark are great. They’re a 2-pack Neon Leather Luggage Tags and are available in three bright neon colors and, since they’re made from leather, they are sure to last. They do up with a buckle which is great for security, they also feature a see through panel with a pull out insert where you can write your contact details in the event that your carry on goes missing. And there you have it, simple! As longs as you follow our handy guide on how to best pack your carry on luggage you’ll be done in no time and can get on with looking forward to your vacation.